It is Halloween planning time!!! 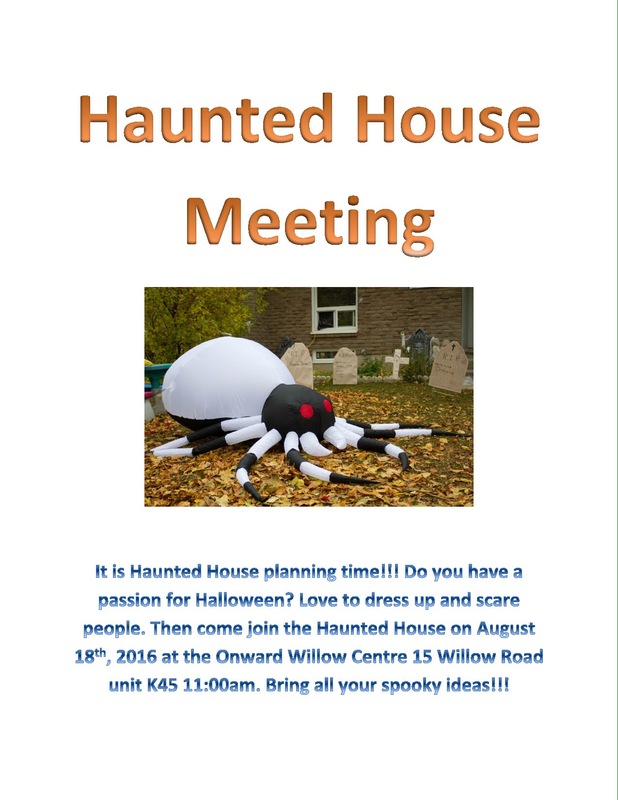 Come join the haunted house planning team. August 18th 11am at the Onward Willow Centre. 15 Willow Rd unit K45. Being your spookiest ideas with you!! !